Enlarge or Reduce image dimensions and maintain the aspect ratio. 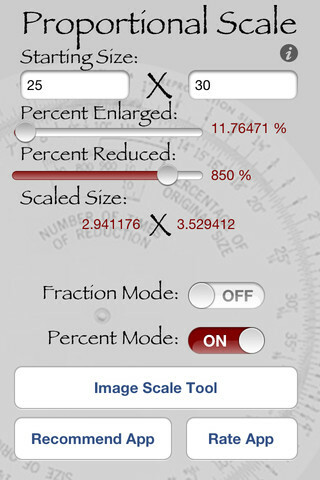 Proportional Scale App makes it easy to maintain image proportions when resizing images. If an exact ratio or final dimension is needed then touch the number that you want changed, and enter in an exact value.